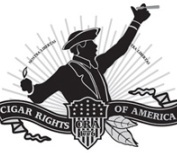 2) The bill to prevent the FDA from regulating premium cigars continues to slowly gain support in Congress. It now has 30 cosponsors, and includes a bit of bipartisan support, with four Democrats on board. If you haven’t already done so, be sure to write your representative and ask him or her to become a cosponsor. 3) In June’s “Question of the Month,” we asked readers, “What is your biggest cigar pet peeve?” Smoking bans and/or tobacco taxes came in tops with 37% of the vote, followed by expensive cigars with poor construction (31%), a band that tears the wrapper (15%), inconsistency within a brand or blend (14%), and insufficient information on manufacturer websites (3%). Be sure to weigh in on this month’s question by voting in the sidebar to the right. And feel free to contact us if you’ve got a suggestion for a future month’s poll. 4) Inside the Industry: Undercrown, a new Drew Estate line that we first reported on over a year ago, is set to be released in five sizes at the trade show later this month. Also set for the show, Gran Habano will release “Zulu Zulu” (originally a private blend for George Rico) featuring an Ecuadorian Connecticut wrapper and Nicaraguan binder and filler tobaccos. Meanwhile, General Cigar has announced that the name of its new CAO line will be “OSA Sol” (OSA stands for Olancho, San Agustin, where the blend’s wrapper is grown). 5) Around the Blogs: A Cigar Smoker smokes the Don Pepin Garcia Blue Label Firecracker. Stogie Review reviews My Uzi Weighs a Ton. Cigar Fan fires up a La Aurora 107 Lancero. Smoking Stogie checks out La Caridad del Cobre Javelin. 6) Deal of the Week: Back in the mid-90s cigar boom days, “Don Nobody” cigars were everywhere and usually not very good. Fortunately, this Don Somebody deal features two “Don” cigars that are actually worth smoking. Only $35 gets you five Don Pepin Garcia Series JJs and five Don Tomás Sun Grown Robustos, or you can double up for $25 more.